Whether you want to step back in time or see what the future holds for its metropolises, a journey along the east coast of North America promises to be eye-opening and unforgettable. 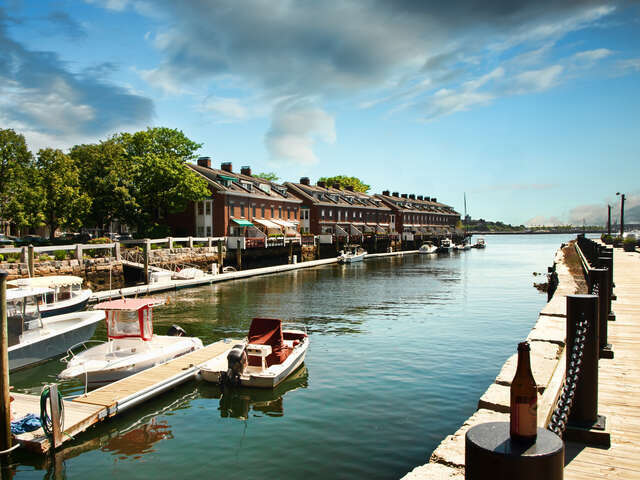 Along the eastern coast of North America, the ports of New England and Canada's Atlantic Provinces bear witness to both fascinating histories and diverse cultures that continue to thrive to this day. This area was home to some of the earliest European settlements in the New World, beginning with Newfoundland’s L’Anse aux Meadows, a Norse settlement which dates from around 1000. The French would follow centuries later at Cap Rouge, near Québec City, in 1541, and the English at Jamestown (1607) and the Plymouth Colony (1620).Given how much of the story of the eastern coast of North America was shaped by the Atlantic, approaching its cities from the sea provides a memorable perspective. For many immigrants who would build Canada and the United States, their first glimpse of their new lives would be from ships sailing into Corner Brook, Goose Bay, Halifax and St. John or Boston, New York, Portland and Providence. Even after arriving, life here often continued to be oriented toward the Atlantic, as these ports became important fishing, whaling and commercial centers. The fishing villages and lighthouses of New England and Canada’s Atlantic Provinces speak to a long seafaring tradition, but neither region is stuck in time. World-class museums and celebrated restaurants sit side by side with historic sites. In Newfoundland and Canada’s Maritimes, a Celtic-influenced culture lives on in the cuisine and music, while francophone Québec is one of North America’s most cosmopolitan regions. Call us or click below to discover great deals on New England and Canada Cruises from Holland America.